“Aage zameen peeche vote, nahi zameen toh nahi vote” goes the latest slogan of the movement for land reform, as political parties get into poll mode for the Assembly Elections 2014. 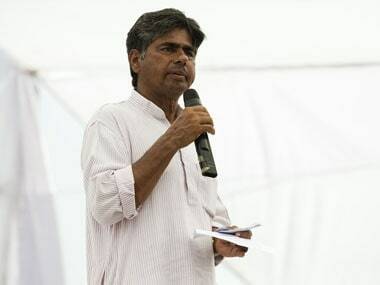 With the government’s six month deadline to meet demands of Jan Satyagraha movement for land reform led by PV Rajagopal of Ekta Parishad expiring on Thursday (April 11) and elections round the corner, top on the agenda of the movement is making land reforms a poll issue. To review progress made by the Centre on the land reform policies in the last six months, a two-day jan sansad has been organised in the Capital. Expected to be attended by 2000 landless farmers and supported by land rights groups across India, the jan sansad will take off where the Jan Satyagraha movement left off in October 2012. 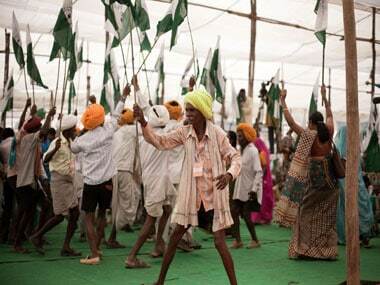 On April 13, the farmers will march from Rajghat to Jantar Mantar and on following day to Parliament. In October, 50,000 landless farmers and adivasis led by Ekta Parishad’s Rajagopal had called off their march to the Capital from Gwalior after Rural Development Minister Jairam Ramesh signed an agreement with them to address their demands – land for landless and home for the poor – within six months. Following the agreement with the Jan Satyagraha, a 17-member task-force was set up, comprising government and non-official members drawn from civil society chaired by Ramesh to draft a national land reforms policy and draft legislation on shelter and land rights, among other issues. The agreement has resulted in some signs of progress. Rajagopal, member of the task force, credited the government for increasing the financial assistance under the Indira Awaas Yojana, a flagship programme of the Rural Development ministry that provides grants to the rural poor to build houses. While progress on fast-track land courts and tribunals has been slow, in a welcome move, the Centre, said Rajagopal, had directed state governments to set up community-based para-legal aid committees for speedy resolution of land disputes and for free legal assistance to the poor. 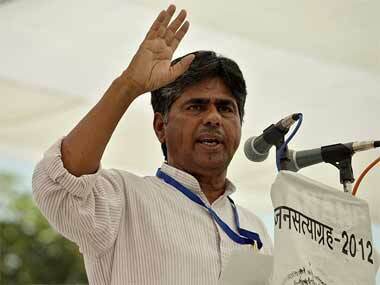 A key demand of the movement has been the drafting of a national land reforms policy. The draft of the policy, Rajagopal said, was awaiting the consent of the state revenue ministers and approval of the Cabinet. As per the 10-point agreement signed in October, the Ministry of Rural Development had promised to initiate a dialogue with the states (as land is a state subject). 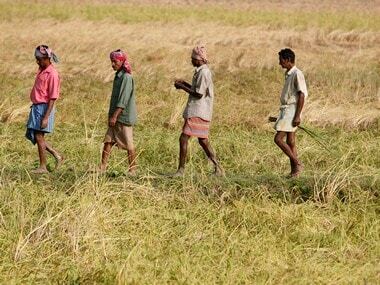 According to the agreement, steps would be taken to give statutory backing (along the lines of MGNREGA and Forest Rights Act) to provide agricultural land to the landless poor in the backward districts and to guarantee 10 cents of land for shelter (homestead rights) to landless or the shelter-less across the country. The draft legislation on the homestead land rights, Rajagopal said, was ready and awaiting consent of the state revenue ministers. However, the other crucial issue of providing agricultural land to the landless had become an area of ‘conflict’, the Gandhian activist said. “While there has been some progress on homestead land rights, very little progress has been made on the issue agricultural land for the landless poor. Be it land acquisition or agricultural land, there is a massive land lobby that is against pro-farmer, pro-poor policies. “In principle, there is agreement that land should reach people who do not have land. There is no doubt that land is there. But the legislation that is necessary to reclaim and redistribute land requires collaboration of the state and the central government,” Rajagopal said.